Melt & Pour Soap (MP). Cold Process Soap (CP). Cold Process Oven Process Soap (CPOP). Hot Process Soap (HP). COMMENTS: I love this one,it come out of the mold very easy. 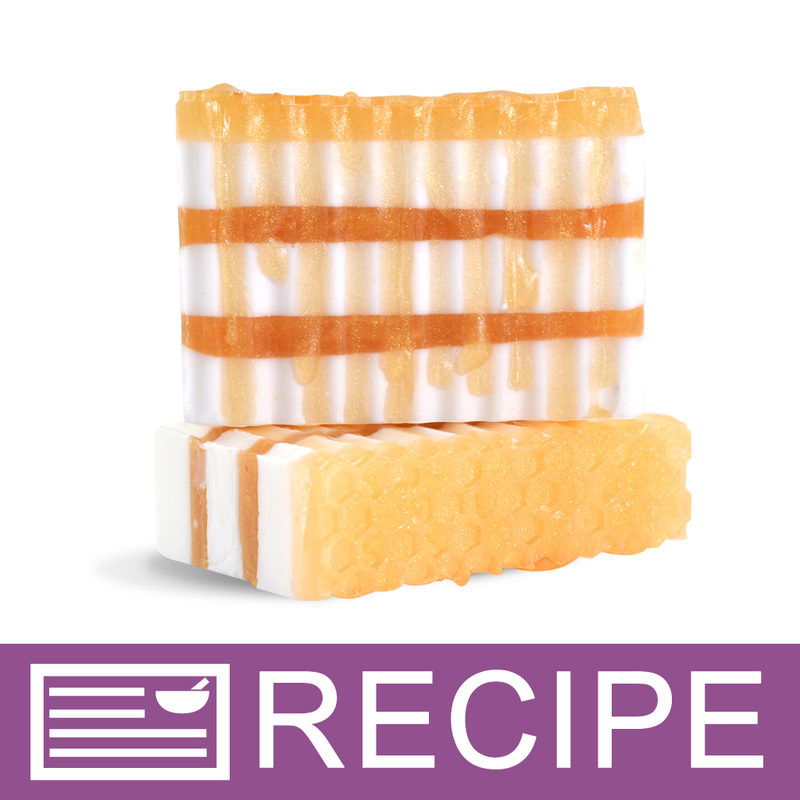 COMMENTS: I just got this mold and used it in my honey and oat CP soap recipe. It turned out so nice! I love the honeycomb design and it was super easy to unmold. I'm dreaming of a bumble bee column mold to put down the center of this one. Wouldn't that be so perfect in the honey soap? The mold is very sturdy and holds it's shape great. The bars are nice and big. It makes me very happy. "I love Love Love this soap mold!" COMMENTS: I use this for co soap and love the final look of my soaps. 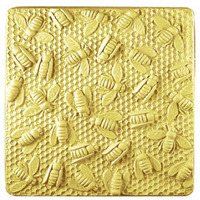 COMMENTS: This soap mold leaves an excellent impression of honeycombs on melt&pour soap. It is very easy to unmold and the mold itself is well made. I absolutely love using it for my oatmeal soaps! I would recommend it to anyone who makes soaps! COMMENTS: This is a fun mold to get a new look for your soap. Works great, I've only used it with glycerin soap so not sure how the release would be with CP. 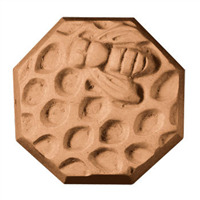 "Love the look of this mold"
COMMENTS: I really really like the look of this honey comb mold. Makes the soap look like it came from a honey comb! "Makes great soap for my OMH soap"
COMMENTS: This mold makes a very realistic beeswax pattern on your soap, nothing like the bubble wrap technique. The silicone releases easily. I only wish it came in a longer size! The height and width are perfect, I just wish I could make more bars at once. A great mold! COMMENTS: I absolutely love the way this mold gives a honeycomb top to my soap. I have used this mold twice now, once using the Honey Bear FO from WSP and once using a Honey FO from a different supplier. I had much better results using WSP's Honey Bear FO...no acceleration and the soap unmolded perfectly! The other FO I used caused rapid acceleration and was a bit brittle when I unmolded...the delicate honeycomb top broke in a few places. Overall, I LOVE this mold and will only use it with my tried and true soap recipe using HOney Bear FO from WSP. COMMENTS: I used this for the first time yesterday and am pleasantly surprised! The honeycomb pattern is absolutely adorable. The impression came out clean without a single blemish and the pattern isn't as small as I expected based on other reviews here. I prefer this look to the bubble wrap look that is really common. Great mold, highly recommend! COMMENTS: I am so happy with this mold. My honey soap came out so cute. One of the other reviewers said the honeycomb imprint was not very deep but to me they just are perfect! 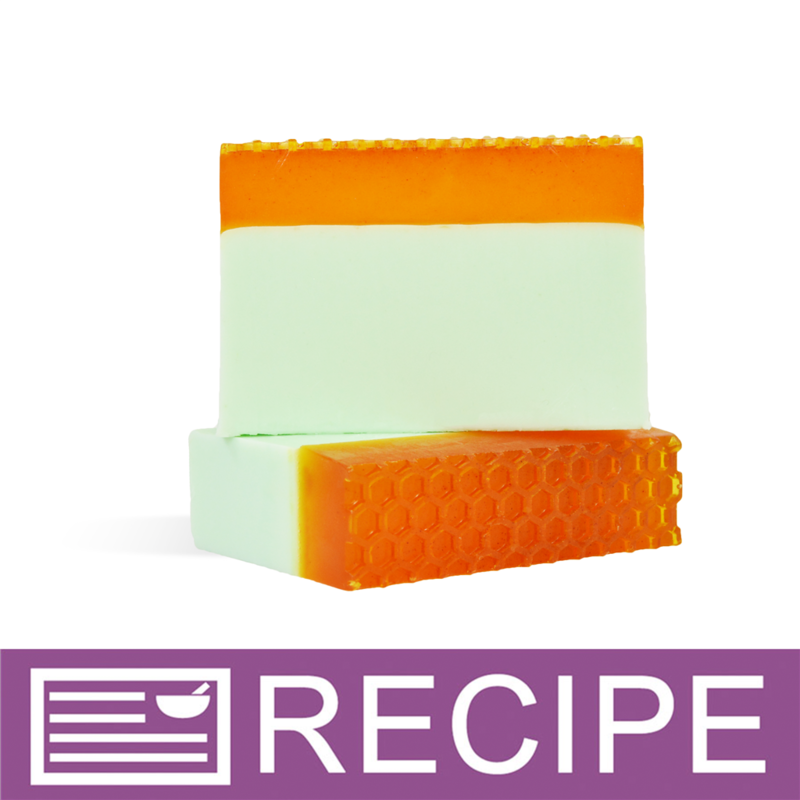 I would recommend this mold for honey soaps. They just come out beautiful! COMMENTS: I like this mold. It is easy to use, released the soap wonderfully, sides & bottom were strong, honeycomb shapes were very noticeable, and the soap was lovely. I like the mold, but was a little disappointed in how small the shapes were, the descriptions did say 1/8", but I was thinking bubble wrap size (my fault). All in all, it is a very nice mold & I have used it twice. I just used the design on the bottom & put bubble wrap on top like always. Problem solved. COMMENTS: I love this mold. After opening my box, I thought it was a very shallow honeycomb pattern. After unmolding my 1st batch of CP soap, I thought how cute is that. I will definitely be using these a lot. They are certainly not as deep as using bubble wrap, but still makes a very cute bar of soap. I had no trouble at all unmolding this loaf. I would definitely recommend these molds to anyone who loves making honeycomb soap. • I love the honeycomb pattern. • Easy unmolding & retains pattern. "Not impressed, not worth it." COMMENTS: "honeycombs" are VERY shallow, less than 1/8 inch. "New to soap making and doing a melt and pour. Does this mold set alone or need a wood frame box? Thank you. " Staff Answer This mold sets on its own. It does not need a wood box frame. "Does this loaf mold hold 2 lbs when it's totally full of soap? I have a 4 lb. recipe and it's only filling one and a half of these molds... Should I not fill these all the way? " Staff Answer This mold holds approximately 44 oz. of soap or 2.75 pounds. Perhaps make your recipe as is and fill the mold and have an extra mold on hand for the extra soap or resize your recipe to fit 2.75 pounds. "Is this made of silicone?" Staff Answer Yes, all of our silicone molds are made of silicone. "Is the honeycomb embedding along the walls as well or just at the bottom?" Staff Answer The Honeycomb design is only along the bottom of the loaf mold.